Drama allows pupils to explore and make sense of the world in which they live. It can be used to communicate a message, to teach, to make a statement, to make your voice heard. To develop and nurture confidence, co-operation, creativity and independent thinking. To develop and nurture appreciation and enthusiasm for performance art as well as developing pupils’ skills in all aspects of performance, production, analysis and evaluation. To develop and nurture understanding and interest in the historical, cultural and social context in which drama is created and performed. To offer opportunities for all pupils to be involved in theatrical productions as a performer, a technician, backstage or front of house. To allow pupil access to drama in the wider community through theatre visits, residential trips, participation in drama festivals and links with other schools. In the First and Second Years pupils have one lesson of drama per week. Pupils may choose to continue their study of drama in the Third Year with two lessons per week. Drama is offered at GCSE and A Level. At GCSE pupils have four lessons per week. At A Level pupils have between six and eight lessons per week. 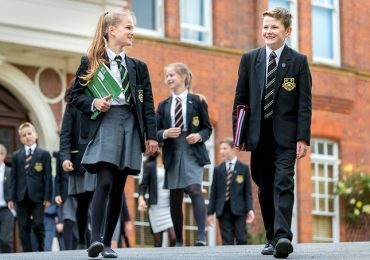 In addition pupils engage in Co-Curricular Drama Productions, House Drama Competitions, Performance evenings, Shakespeare Schools’ Festival, Leatherhead Drama Festival, LAMDA Examinations, Technical Theatre Team, Film Club. The department benefits from the new Centre for Performing Arts which incorporates The Humphreys Theatre, The Deayton Theatre, a purpose build dance studio and additional rehearsal spaces. Louise is a graduate of Bretton Hall College of Performing Arts where she was awarded a BA(Hons) in Dramatic Art and Dance and a PGCE in Drama, English and Special Educational Needs. She has previously been Head of Drama in Northgate High School, Dereham, Costessey High School, Norwich and The Archbishop Lanfranc School, Croydon. Louise has broad experience in directing, producing and performing in a range of venues and theatrical genres. A graduate of the University of Bristol with a PG Diploma in Journalism from the University of Cardiff and a PGCE from Roehampton, Alex has previously taught English and Drama at Hinchley Wood School, Esher, The British International School in Cairo and St John’s School, Leatherhead.